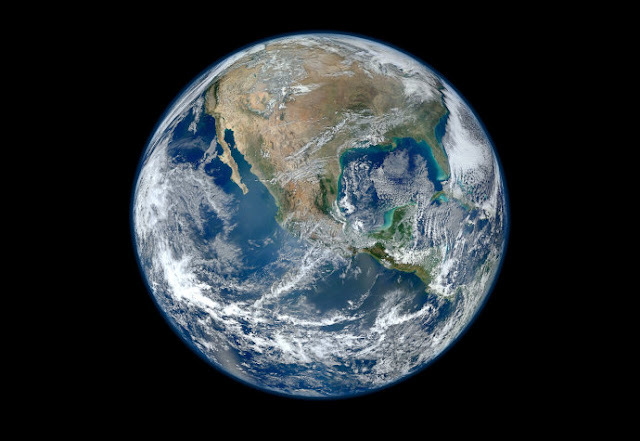 In 2012, Everybody going about their daily business, blissfully unaware that our planet almost plunged into global catastrophe. A revelation by NASA explains how on July 23, 2012, Earth had a near miss with a solar flare, or coronal mass ejection (CME), from the most powerful storm on the sun in over 150 years, but nobody decided to mention it. Err, what? Well, that’s a sobering bit of news. “If it had hit, we would still be picking up the pieces,” says Daniel Baker of the University of Colorado. 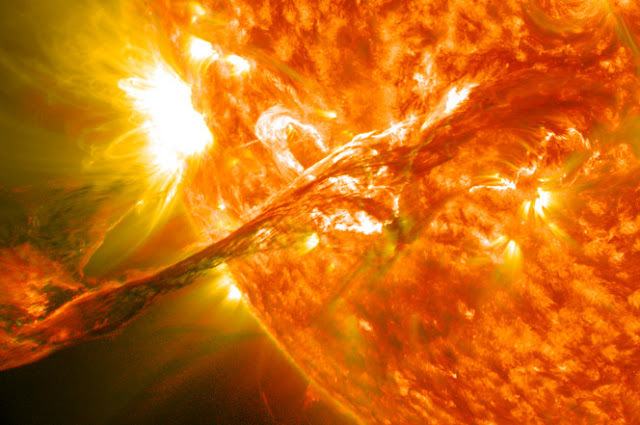 A solar flare that erupted from the sun in August 2012. A mass ejection only a month before this photo was taken almost hit Earth, which would have decimated modern technology. We managed to just avoid the event through lucky timing as the sun’s aim narrowly turned away from Earth. Had it occurred a week earlier, when it was pointing at us, the result could have been frighteningly different. Just 10 minutes without electricity, Internet or communication across the globe is a scary thought, and the effects of this event could last years. It would be chaos and disaster on an epic scale. So can we breathe a worldwide sigh of relief? Well, not quite. Physicist Pete Riley, who published a paper titled “On the probability of occurrence of extreme space weather events,” has calculated the odds of a solar storm strong enough to disrupt our lives in the next 10 years is 12 percent. However, the CME that almost battered us was a bit of a freak occurrence as it was actually two ejections within 10 minutes of each other, plus a previous CME had happened four days earlier to effectively clear the path.